Steve has just returned from a very successful trip to China where he spent some time at the Bauma exhibition in Shanghai meeting existing and prospective suppliers. He also visited the factory where alot of our spare parts are manufactured. Steve always likes to visit the factories where we source our product as he likes to know the people we are dealing with. He always checks first hand the conditions of the factory and the quality of the output. Only when Steve is satisfied that the factory is reputable and the quality is of Australian Standard do we form relationships with these companies. This is why we have such a tight relationship with SKS in China. Both their factory and the product quality is first class. Mining, extraction, and processing of raw materials. Asia’s construction-machinery industry and new impetus for your business success. Steve says he thoroughly enjoyed his time at Bauma and met quite a few new contacts but they will need to go through his rigorous process before we could call them suppliers. The size of the exhibition is beyond belief. Very difficult to portray. 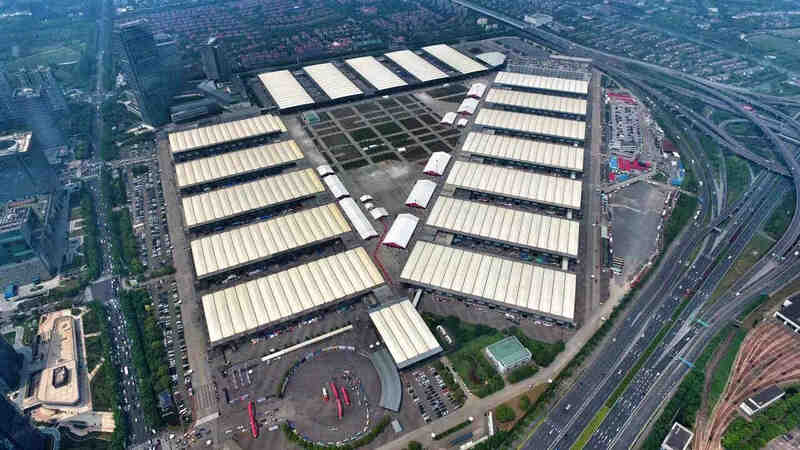 I found an aerial photo of the exhibition centre on the web that may just give you an indication.